VMAG propels security gates up to 8 feet per second, which effectively deters unauthorized access and tail-gating while dramatically increasing authorized throughput, enhancing both security and efficiency. 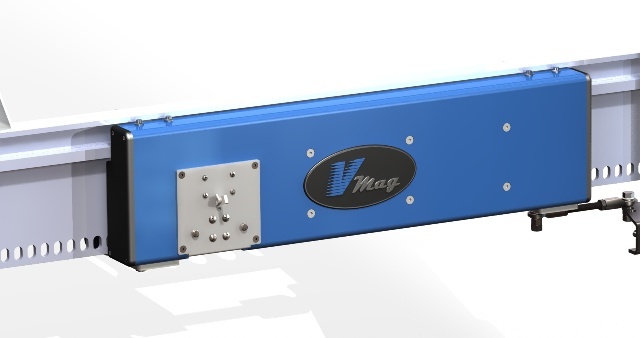 The patented design incorporates electromagnetic Linear Induction Motor technology, eliminating moving drive components, hydraulic fluids and lubricants and their environmental risks, making VMAG the world’s fastest and most reliable gate operator utilizing proven green technology. VMAG’s industry leading XCP ™ (Xtreme Corrosion Protection) materials and special coatings, with marine grade options, provide additional protection in coastal regions, industrial areas, or other corrosive environments. The unique floating design, programmable speed control and self-calibrating feature adapt to any application and the integrated locking mechanism makes VMAG virtually impossible to defeat. Model selection is based on gate mass, size of opening and desired level of performance. Contact Sales for additional information. VMAG models VM1420 (440-480 VAC, 3-Phase) or VM1425 HD (440-480 VAC, 3-Phase) are recommended for maximum performance, HEAVY gates, and/or openings of 30′ or more. Custom configurations are available upon request for special projects, large openings and K-rated crash gate systems. Use of Buck/Boost transformers or Step-Up transformers may be necessary depending on available power. Operator kits include (4) reaction fins and brackets for a standard 20′ gate opening. (Total Feet Of Opening + Five feet) Divided by 6.58 = Number of Fins Required (Round up to whole number). Example: Opening (24′ + 5′)/6.58 = 4.4 Reaction Fin. Round up to (5) Total Reaction Fins. Electrical connections to be installed from electrical supply to the controller by a certified electrician. Access control and entrapment protection equipment should be planned and installed as required per UL325. * Motor leads exceeding 15 feet require shielded power cables. Mounting posts, or a preferred freestanding pedestal with cross bracing, for control cabinet and LIM unit linkage assembly. 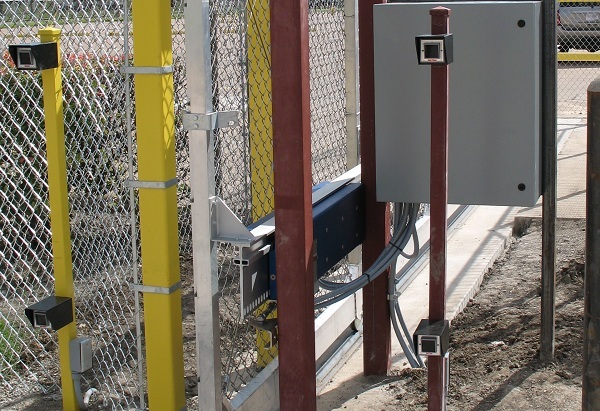 VMAG Gate Operators are UL 325 listed and certified for Class III & IV applications. Installation of external entrapment prevention devices are required to meet UL-325 and industry safety guidelines.